Since 2011, there have been 10,000 Baby Boomers retiring daily, according to studies from the Pew Research Center. Only 40% of this generation are left in the workforce, while Millennials are on target to become the largest generation the U.S. has ever seen. This generational shift shouldn’t come as a surprise, and yet many companies are still blindsided when key leaders make the transition to retirement. The Society for Human Resource Management discovered that at least 40% of organizations don’t have a succession plan for their retiring executives. As a result, large public companies have shown losses up to $1.8 billion in shareholder value while they scrambled for a new CEO. It’s also estimated that up to 40% of new CEOs fall short of performance expectations. Why is retirement in the C-suite impacting organizations quite so negatively? 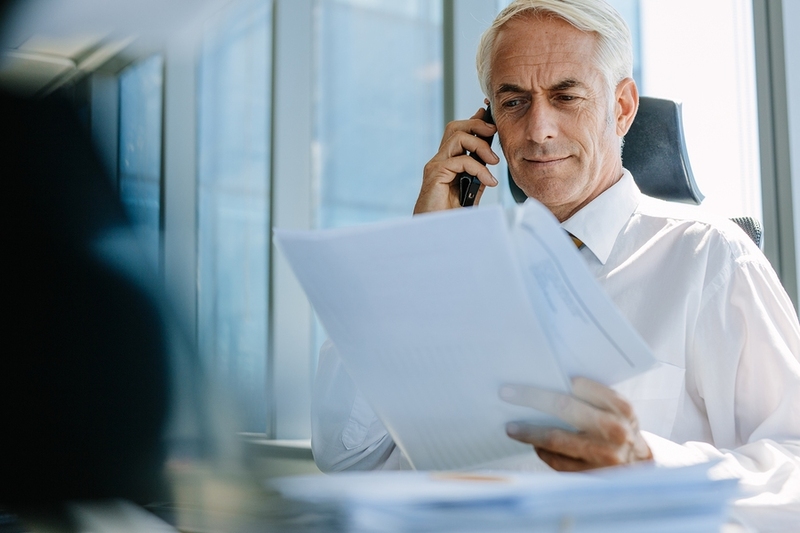 Although succession planning is typically the priority and responsibility of the CEO and board members, we believe that HR should be playing a more integral role in responding to the growing number of retiring Baby Boomer executives. Effective succession planning depends upon a strategic partnership between HR and the board. HR should provide objective support in profiling current executive roles and evaluating what skills, experiences, strengths and competencies make a successful leader. Likewise, HR leaders can help the board identify and evaluate potential candidates within a structured framework and process. This provides the CEO and board accountability in the recruitment process while ensuring alignment with long-term business strategy. Finally, whether the replacement is an internal promotion or an external candidate, HR must play a role in establishing an effective onboarding process. Throwing a new executive in at the deep end isn’t an option. Onboarding and training ensures that a cultural alignment is established and that the new hire is effectively advised and coached towards success. It’s a well-known stereotype – one based in truth – that Baby Boomers have been loyal to the organizations that employ them. Thus, you can expect that most Baby Boomer executives have risen through the ranks of just one or two companies over the course of many years. This outstanding tenure is what has made many of them so good at what they do. It only becomes a problem when they set their sights on retirement. Generations X and Y are more than capable of building the same skill sets as their Baby Boomers leaders. However, the challenge is in the institutional and tacit knowledge that an individual gains throughout the years they work at an organization. Much of that knowledge is so inherent that it’s not apparent until after someone leaves and the gap is revealed. HR leaders must prepare for the process of knowledge transfer between retiring Baby Boomer executives and future leaders. That may include in-depth assessments and reviews, as well as mentoring and coaching opportunities. In the case of mentorship, there is the assumption that you have replacements in mind already; when this is not the case, thorough documentation is vital. Both HR and the board must develop a clear understanding of an existing leader’s career path, experiences, strengths and weaknesses, and skill sets. Otherwise, you risk losing valuable information when those retiring executives walk out the door. A study from Deloitte revealed that 64% of Millennials don’t believe their employers are providing an opportunity for leadership development. That’s a big deal for a generation that values life-long learning. It’s also a significant indicator that many organizations are missing a major opportunity for bridging the gap between retiring Baby Boomers and future leaders. Equipping Millennials for executive leadership is a vital strategy in preparing for the mass retirement of Baby Boomers. Mentorship and coaching programs enable them to learn and experience the lessons of their elder leaders, protecting against a future knowledge gap while strengthening employee loyalty. A formal leadership development program is also beneficial for Generation X, who will often be the first choice to replace their Baby Boomer counterparts. A structured program enables HR and board members to more effectively identify potential replacements and build those relationships early on. Finally, leadership development opportunities should be established in alignment with business goals and with a focus on future trends. In particular, this requires an awareness of the evolving traits of visionary business leaders. While Baby Boomers developed necessary technical skills later in their career, these skills will be more ingrained in their younger replacements. However, soft skills are increasingly more important, empowering leaders with a more comprehensive understanding of organizational objectives and the shifting business landscape. Likewise, there is also a growing need for cross-functional skills and experience as many industries break down the functional siloes that have become increasingly inefficient. HR should be well positioned to tackle these trends as they prepare for executive succession. Establishing a strategic plan for replacing Baby Boomer executives and preparing younger generations for leadership is simply going to take time. In order to lessen the impact of losing experienced talent, it will be necessary for HR to evaluate their retention strategies in order to hold on to these key players for longer. Understanding the changing needs, preferences, and lifestyles of Baby Boomer leaders is critical. In some cases, a phased retirement or more flexible work arrangements may be enough to delay their retirement until replacements are ready to take the helm. In other scenarios, it may be helpful to consider hiring Baby Boomer leaders as consultants; this enables the continued process of knowledge transfer and mentoring while also allowing these individuals to slowly start enjoying the perks of retirement. Though these retention strategies will look vastly different than your company-wide tactics, there will be overlap. Sustaining a positive work environment and regularly assessing compensation structure and benefits packages are just as important to Baby Boomers as they are to Millennials. HR can certainly lead the charge in these areas. Replacing Baby Boomer executives requires a strategic, long-term plan that aligns closely with business and board objectives. Knowledge transfer, leadership development, and retention are key factors in addressing this challenge, though HR should recognize that succession might be made more difficult by the increasingly competitive candidate market. Certainly, many companies still have ample time to prepare; the youngest Baby Boomers are about 52 years old, with at least another decade of work ahead of them. That said, reports show that 10% to 15% of companies are faced with finding a new CEO every year. Will your corporation be ready?